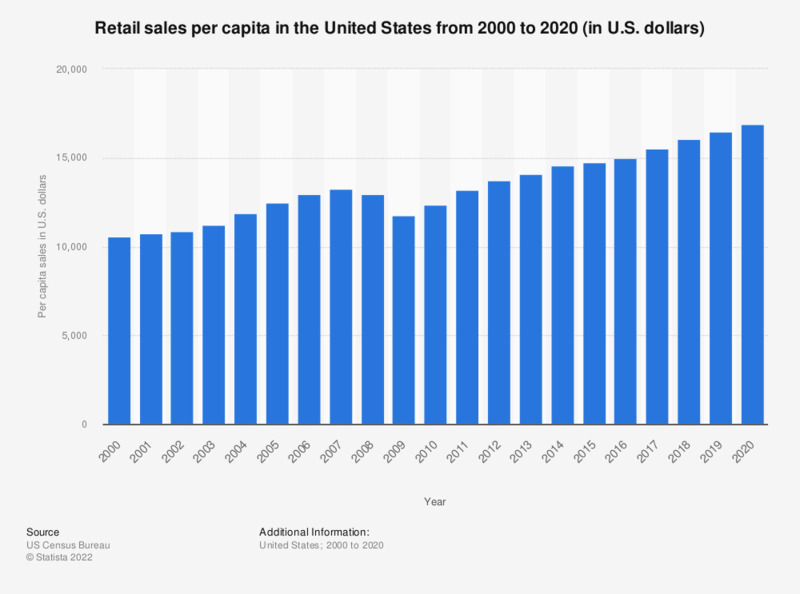 The timeline shows the estimated retail per capita sales in the United States from 2000 to 2016. In 2014, retail sales amounted to about 14,561 U.S. dollars per capita. Estimates are shown in millions of dollars and are based on data from the Annual Retail Trade Survey. Estimates have been adjusted using preliminary results of the 2012 and 2015 Economic Census.